We will be giving away some awesome prizes! Be sure to like us on Facebook for an extra entry! Paper: DCWV for Recollections "Jingle Bells" stack (with elements). 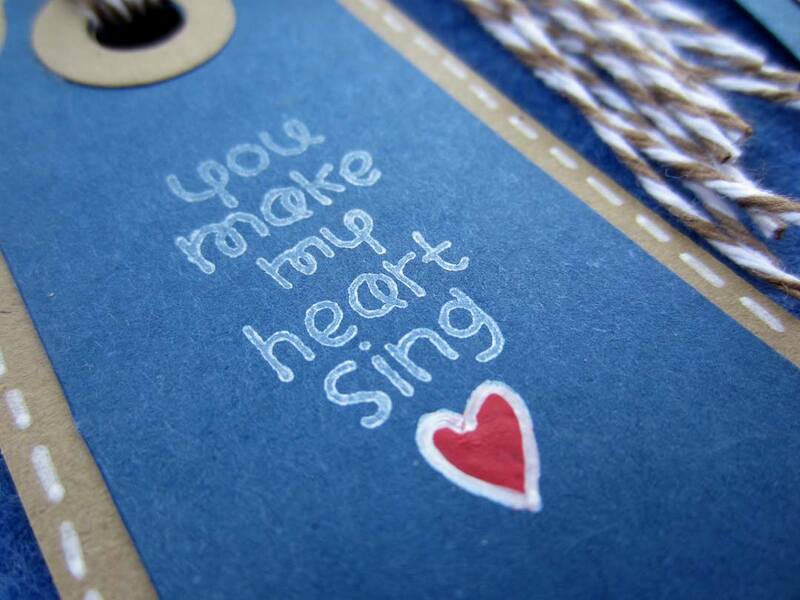 1: Make card from cardstock. Die cut large labels, layer and adhere to cardbase. 2: Fussy cut tabs, borders, and note card elements from the paper stack. 3: Stamp Tree image and sentiment onto note cards, color stars, and attach tabs. 4: Layer note cards with tabs and borders to create “stacked” look. Finish with ribbon. Here’ another fantastic card by designer Nina Yang! Don’t you love the combination of kraft paper, machine stitching and white embossing!? Hampton Art Embossing Powder: Glitter White from Pastel Set. There are more Christmas cards coming this month…Stay tuned! Well happy July!!! We here at Hampton Art, in beautiful NC are experiencing our 4th day in a row of over 100 degree heat, so we decided to think happy thoughts of cooler weather by doing a month of Christmas projects! Go ahead and get a jump start on your Christmas cards and enjoy the inspiration! 1. Check the blog DAILY to see the awesome Christmas inspiration. 2. Keep your eyes out for a few “non-Christmas” projects that sneak their way into the mix. 3. Thursday, July 28th email us with at least 2 different days that you didn’t see us in the Christmas spirit and you will be entered for a chance to win one of our 3 goody boxes full of Hampton Art, Ki Memories, Graphic 45, and Hot Fudge Studio Christmas stamps!!! Do you make a bunch of Christmas cards every year? Me too! We want it to be quick and easy, right? Red, white and Kraft is a safe color combination that works for any age. A cute stamp like “Santa Stops” works for both genders. I stamp it on some scrap and die cut it out with a label die. I just hand cut the red label - it does not need to be perfect - no one will notice it but the extra layer adds a lot more detail to the outline and makes the stamped image pop. Tickled? It is never too early to start making Christmas cards :) Happy Crafting! Hampton Art design team member Wendy Morris is glad to share her “Unforgettable Memories” card with y’all today… don’t you absolutely love it!? 1. I really love the shape of this card from Doodlebug Designs and the color of the card inspired me of sunshine, summer, and hot air balloons. So, I decided to use the Hampton Art - Art Warehouse - Hot Air Balloons stamp set. The shape and height of the card really allowed a sweet setting of hot air balloons. I mixed up the different size hot air balloons for depth to the card in using a range of the large, medium, and small balloons. I like to stamp/create in “odd” numbers for balance. So, I stamped 4 balloons and then added the 5th element with a dimensional hot air balloon sticker. 2. Then, I stamped a sentiment (“unforgettable memories”) from one of the Studio G collections. Additionally, I embellished the card with sprinkles of wood veneer stars and a metal clockwork part for a steampunk feel that draws interest to the dimensional sticker that also has a play on steampunk. 3. Another thing I really love about this card is the inside view that folds out for a perfect backdrop for a stamped greeting using the “The Best Things In Life Are Free” stamp from the Hampton Art Ditto collection. 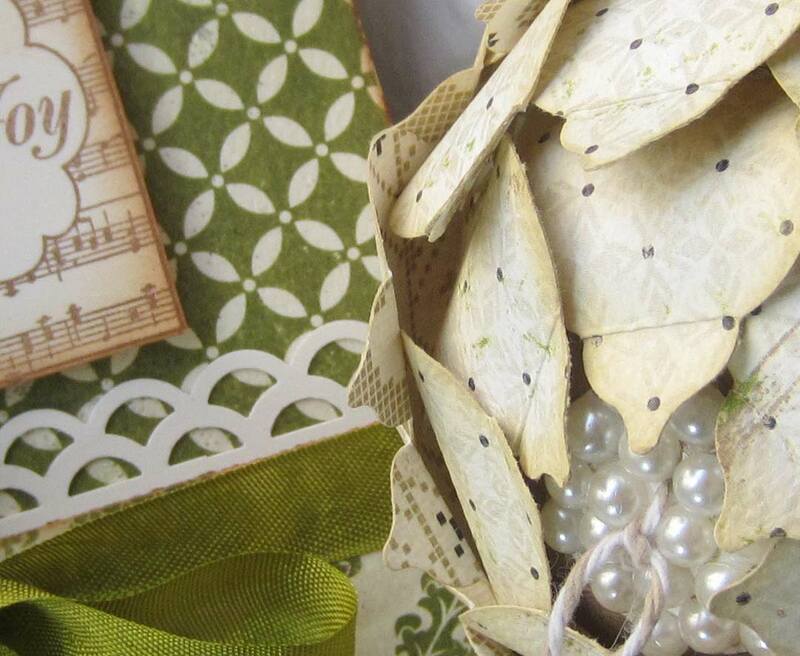 Designer Linda Abadie has a precious card for a new addition to share with us today. 1. Distress cardstock background with acrylic paint. 2. Stamp lace image, fussy cut, and apply on the top of the card using foam tape for 3D effect. 3. Add head pins and tie little bells with the ribbon for accent. Hampton Art design team member Vivian Keh, has a great project to share with you today for the special guy in your life. Enjoy! So my man and I make a great pair for many reasons. One reason we jive is that our individual strengths lie at diametrically opposed ends of the spectrum of human abilities! Of course that means that occasionally I have no idea what he's talking about and vice versa. But it also means we can help each other grow in profound ways. I was pleasantly surprised recently when my beloved made a request of me. A CRAFTY request, at that! He wanted a bookmark so that he could keep his place in his computer programming TOME. You couldn't pay me to read this type of material, but that's beside the point. For functional reasons, I couldn't add the dimension I normally do. So I decided to go casual and very cute - something that would remind him how much I adore him. I immediately reached for my Hampton Art/Doodlebug SC0474 Stamp Set as I knew it would do just the trick. Isn't it ADORBZ? Normally, my projects involve a ton of fussing, arranging, and/or altering. But it was so refreshing to venture into CAS (Clean and Simple) territory and then to find myself actually pleased with the results. This little heart patch shown below is the first stamp in the set that I noticed and one that I just had to have - so simple and super cute! I stamped with a red pigment ink and then heat embossed with a clear embossing powder. I cut out the square shapes, sanded the edges a bit, then adhered the pieces to cardstock tags that I had die-cut. To up the cuteness factor, I did some faux stitching with a white gel pen. Then I cut out several lengths of twine and knotted them through the hole at the top. I made my beloved another bookmark using a wonderful sentiment that came in the set, filling in the heart using red acrylic paint. Such truth in that sentiment! 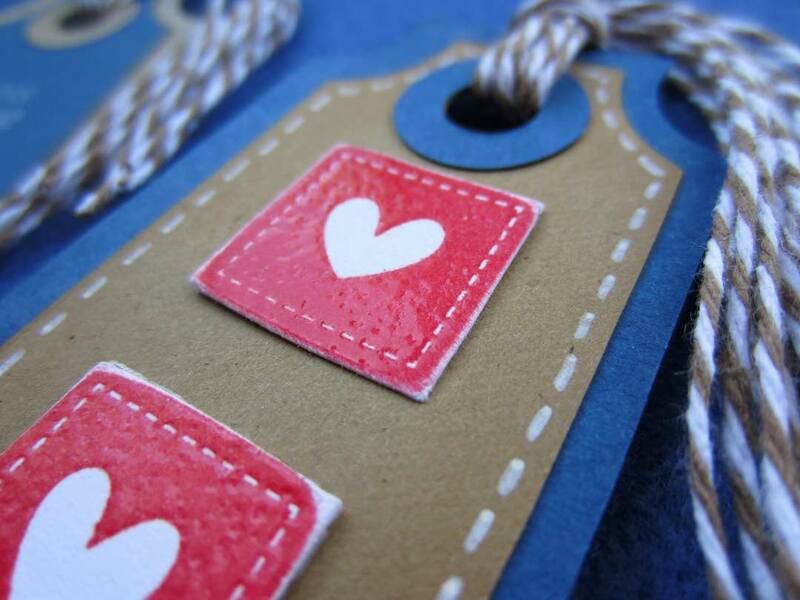 Repurpose your tags as practical bookmarks for your man! I think they'd make great gifts for teachers, as well. It was an honor to visit with you here, folks. Until next time! Life can be tough sometimes; sickness, hardships, and other things always find a way to get us down. Designer Gini Williams Cagle has a beautiful card to share with us today reminding everyone to “Seek Joy”. 1. Stamp the Butterfly Banner on white cardstock, using Wicked Black. Use the Seek Joy sentiment from the Carpe Diem set, to stamp onto the blank banner. 2. Use gelatos and a paintbrush to watercolor the stamp. 3. Ink the edges of all papers with Creamy Brown. 4. Assemble the card as shown. 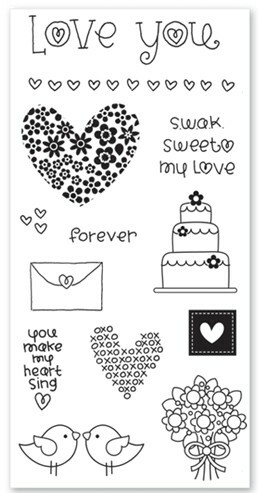 Designer Adora Concepcion has a gorgeous card to share with you today! Who knew Clearsnap Smooch was so versatile!? WE LOVE IT EVEN MORE NOW! 1. Using an applicator blending tool, ink the base of the card with 2 color ink. 3. Stamp and cut out the sentiment (celebrate). 4. Add the 7G tape as shown on the card. 5. Adhere stamped bottle using pop dots for dimension.